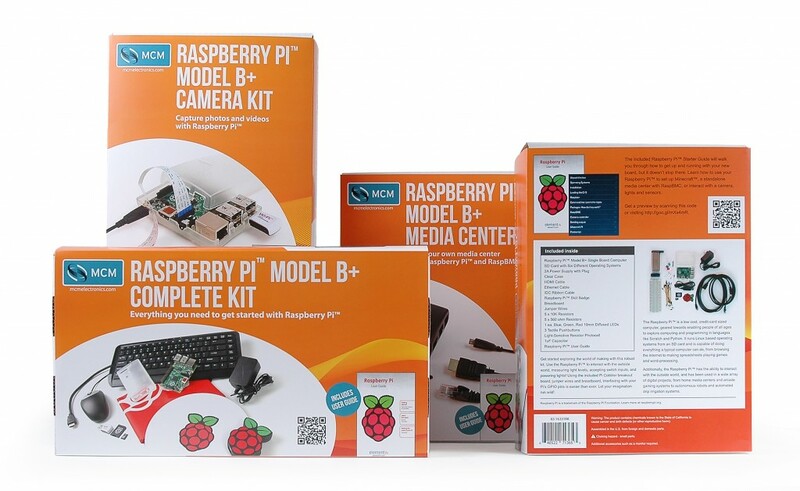 I got the opportunity to work as part of a small team at MCM on taking the extremely famous Raspberry Pi board – a lower-margin product – and developing an offering of kits around it. The Pi itself is an amazing thing; a credit card sized computer which costs only $35. What sets it apart though, it its ability to easily do things that are much more difficult with standard (and larger) computers. Turn it into a tiny home theater media center or connect it to sensors, buttons and other I/O devices. We took these capabilities and designed seven unique kits. My portion of the project revolved around designing the retail packaging. The goal was to ensure the kits were similar enough to look like a family, but able to easily differentiate themselves. After several designs and focus groups, we arrived at a design that resonated with our target audience. From there, custom box and sleeve dies were commissioned and produced. To date, over $5 million worth of these kits have been sold via various retailers and online. Additionally, the team was recognized by Premier Farnell as the global winner of their Making a Difference Awards in the category of Innovation. 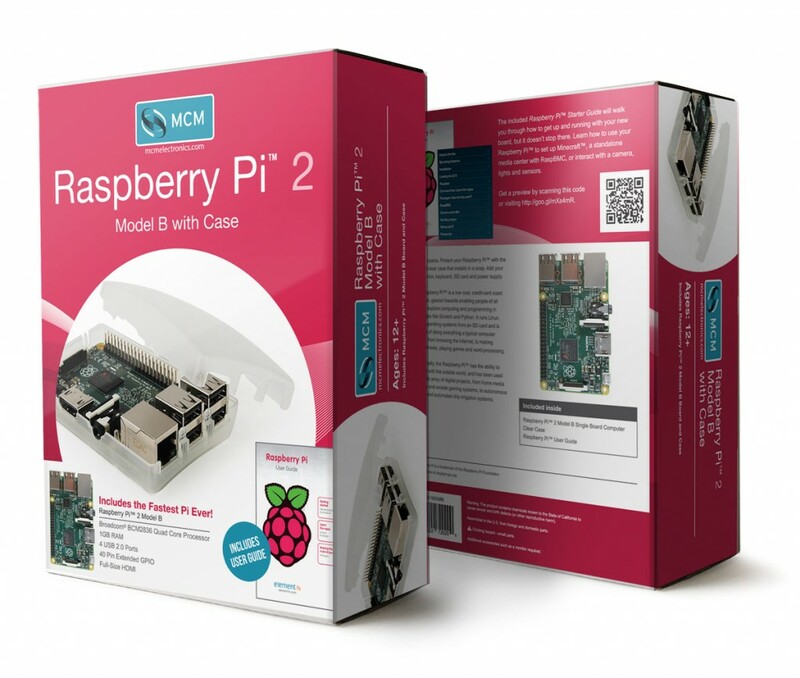 After the initial launch of these kits, another revision of the Raspberry Pi was released. We updated the packaging to accommodate the revision. 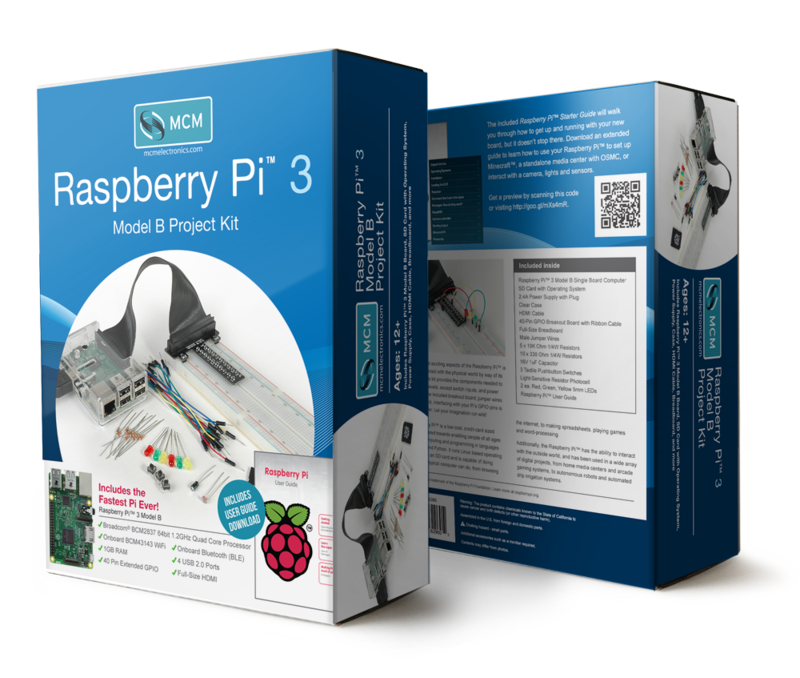 On February 29, 2016, the Raspberry Pi 3 came out. 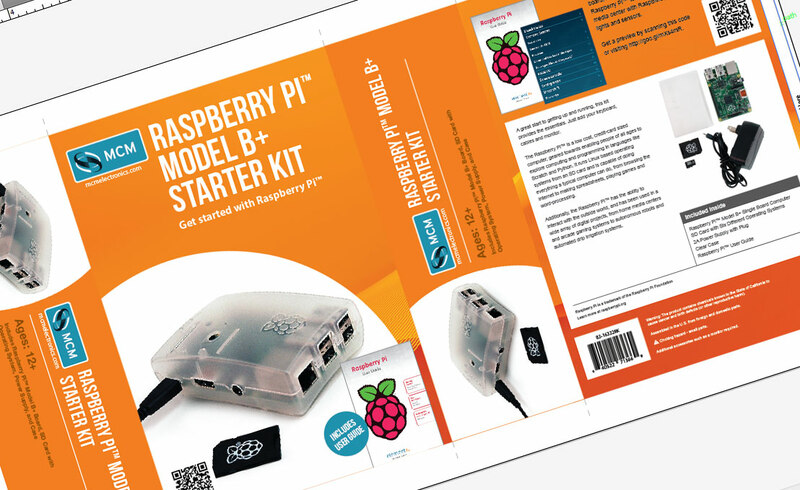 We were ready with yet another revision of our Raspberry Pi kits.